Our first summer in NEER North’s new home has so far been a busy one. Along with settling in and welcoming close to 200 guests to our first open house, we have now regained momentum in our rescue, rehabilitation, and rehoming work after several months of scaled-back activity last winter and spring. In this newsletter, you’ll find updates on placements and new arrivals, a shout-out to some ribbon-winning NEER North rescues, a special plea for some help to get our barn ready for the winter, new calendar items, and more. Look for additional news on our Web site [www.neernorth.org], which we’re updating more frequently now. Fall is just around the corner, so now is the time to save the date for our “Raise the Bar” auction, which will be held on November 7 at the Ipswich Country Club. In this year of firsts for our rescue, we’ve set our sights on an ambitious $30,000 goal. I know we can do it if we all work together! As always, thanks for all you do to make NEER North’s work possible. Happy Summer everyone! NEER North celebrated its fresh start on June 13 with a family-friendly open house celebration at our new Ash Street location. Visitors had a chance to explore the new facility, meet our rescues, enjoy delicious food, listen to live music by James Paone, and meet old and new friends. The event was sponsored by North Shore Realty Group/Frank Bertolino. Thank you, Frank, for sponsoring and for your amazing grill-master skills! SAVE THE DATE! Our Auction Committee is already hard at work planning, contacting donors, and spreading the word about our 6th annual Silent and Live Auction. This year’s event will be held on November 7, 2015 at the Ipswich Country Club. We hope to raise a record-setting $30,000 to support our mission of rescuing, rehabilitating, and rehoming at-risk horses. Please put the date on your calendar now, tell your friends, and plan to join us for this gala event, our biggest fundraiser of the year! Congratulations to Tris, Maizie and Chevy for their accomplishments at Pipestave and BTA Bolt this summer! 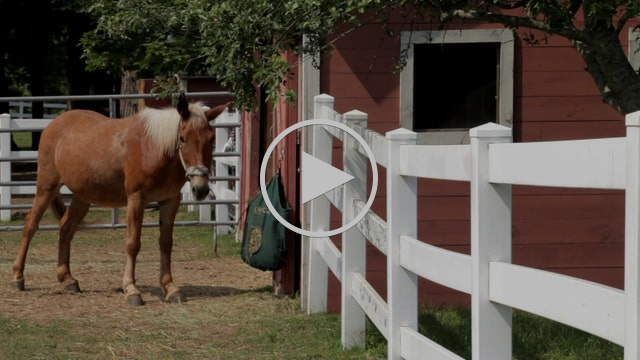 Here's a rundown from Kim Rauenzahn, our Equine Schooling Director. 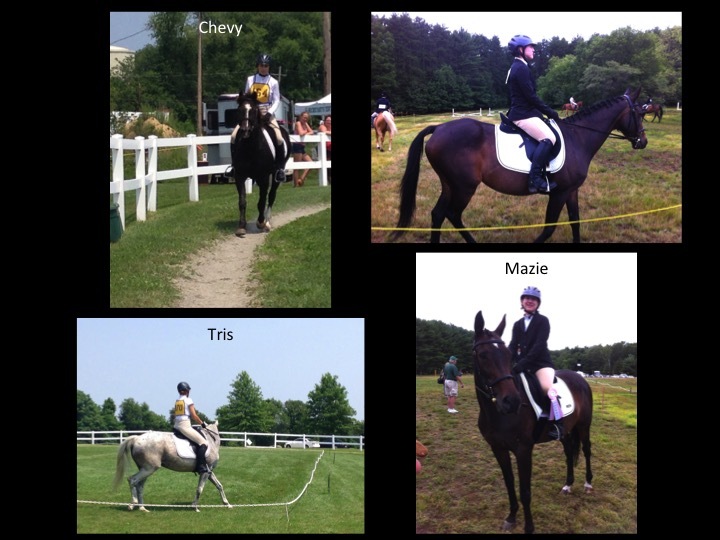 Maizie, Tris, and Chevy went to Pipestave, dressage only tests. Maizie got a second in her WT test and a third in her WTC test. Tris earned a third in WT and Chevy a fifth. Super thanks to all who groomed, drove, or otherwise helped out, especially the Clewleys, Allison, Meredith, and of course Mary. 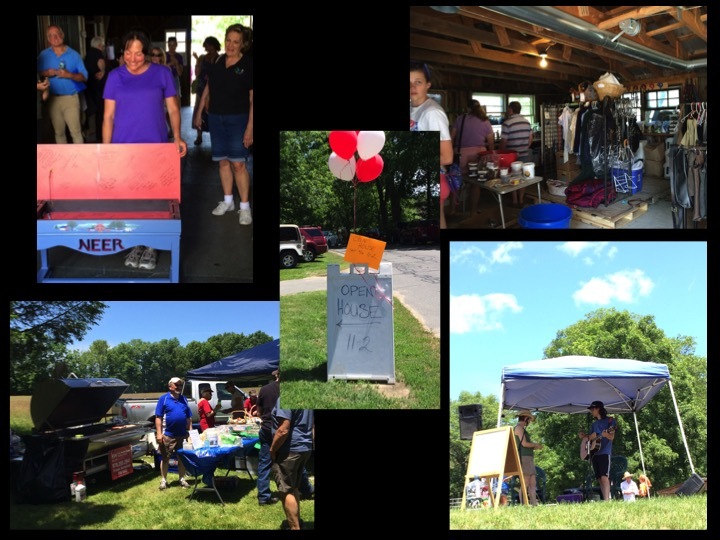 It was a blistering 90 degrees, and I was so proud of all our equines and volunteers. Allison took Maizie to BTA Bolt and did a phenomenal fifth in a huge class in Beginner Adult. Maizie was strikingly beautiful and Allison had perfect equitation. The best outcome for all NEER North equines is placement in forever homes.So we are delighted to report that our handsome and charming, one-eyed mule Tommy has moved to Berwick, Maine. Best wishes to our long-eared friend in his new forever home! Our adorable mini donkeys Gerald and Newman have joined another NEER North adoptee, Jersey Girl, at Dominique Favazza’s barn in Ipswich. Thank you, Dom, for giving these lovable characters a place where they can thrive. NEER North horses sometimes need some extra training to get ready for their forever homes. Fortunately, in addition to the amazing work Kim Rauenzahn does with horses at our own barn, members of our extended NEER North community also help out with training in off-site foster situations. Currently Reggie, a fine-looking standardbred gelding, is working on manners, dressage, and trail rides with Rachelle Palmer in Brentwood, NH. Cordula Robinson has taken our Hackney Pony Violet to Boxboro, MA, to do some ground work and get her some miles under saddle. 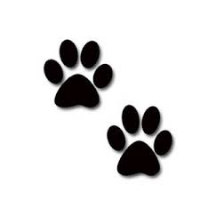 Sincere thanks to those who have stepped up to adopt, foster, or train these wonderful animals. You are a vital part of NEER North’s mission. We’ve recently welcomed back two NEER North equine friends and three new arrivals. With the exception of Rodeo, all are available for adoption. 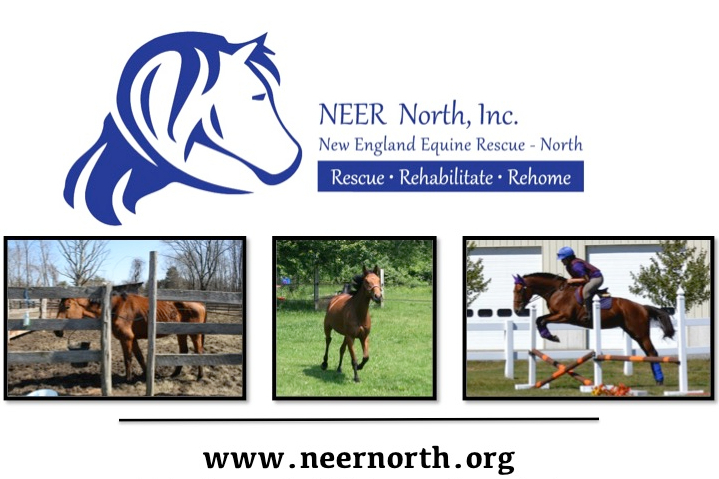 Please check our newly designed and updated NEER North Gallery of Horses under the “Adoptable Horses” pull-down menu on our Web site for more information. 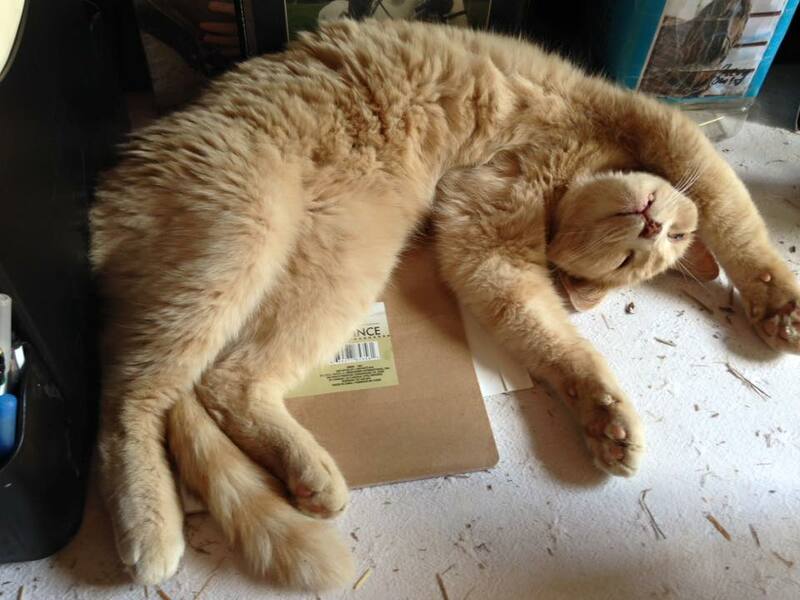 Amigo, a relatively rare Bashkir Curley, is back from foster care and ready to meet his adoptive family. He is well-mannered and a little shy, with an arthritic knee. He would make a super companion horse for a gelding or mare. 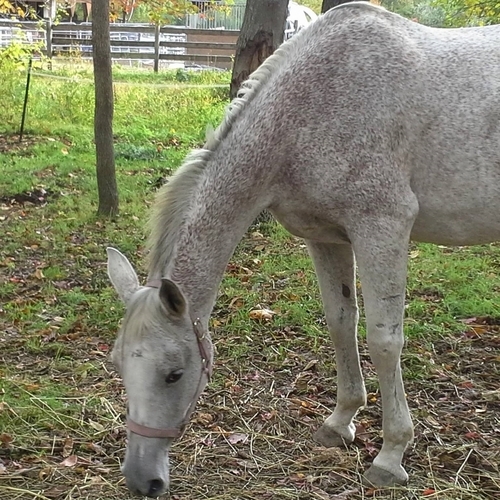 Also back from foster is Cera, a 22-year-old Arab mare with limited vision in one eye. She has not been ridden in a long time, but she is very smart and a pretty mover. Could be a great companion horse. Big rewards await a patient, experienced trainer. 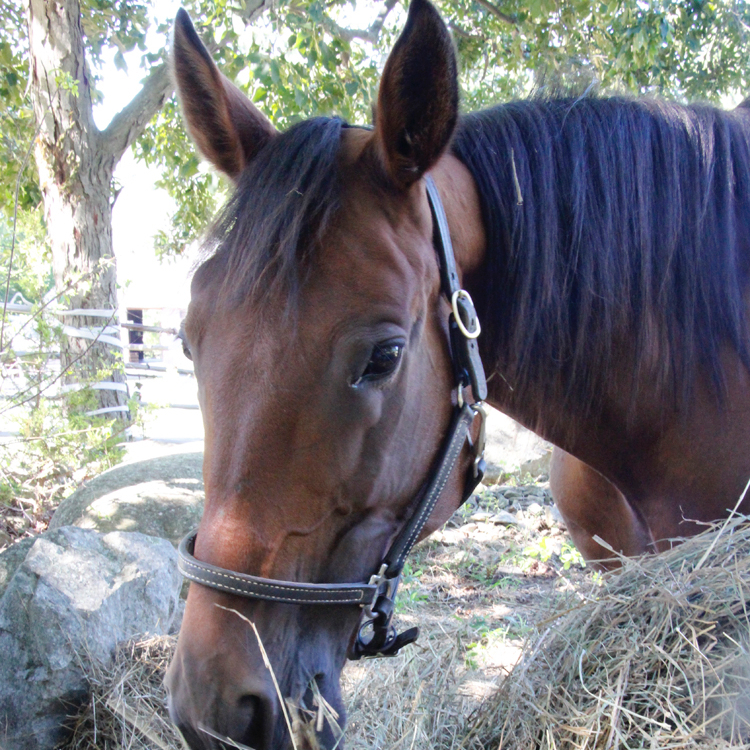 Goldie a 16-year-old, Standardbred mare, is a recent arrival. She would be a good trail horse for a quiet, advanced beginner. Easy to work around. She has manageable heaves. Blue is a striking new addition to the NEER North herd. 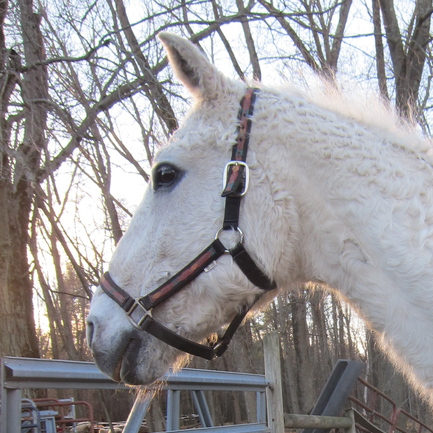 A paint mare with flashy blue eyes, she is 4 years old and 14.2hh. Blue is unbroken, a “clean slate” opportunity for a quiet and patient person with lots of experience training and backing young horses. Can be registered, but not bred. Available to a training home. 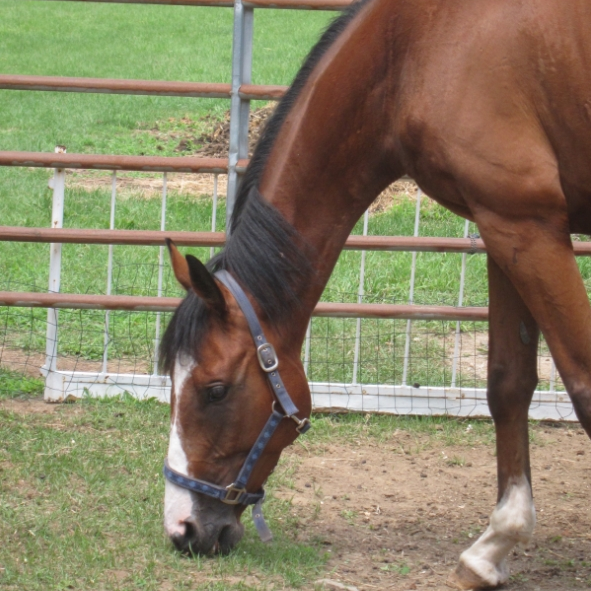 Rodeo, an 8-year-old TB gelding, is handsome, polite, and affectionate. 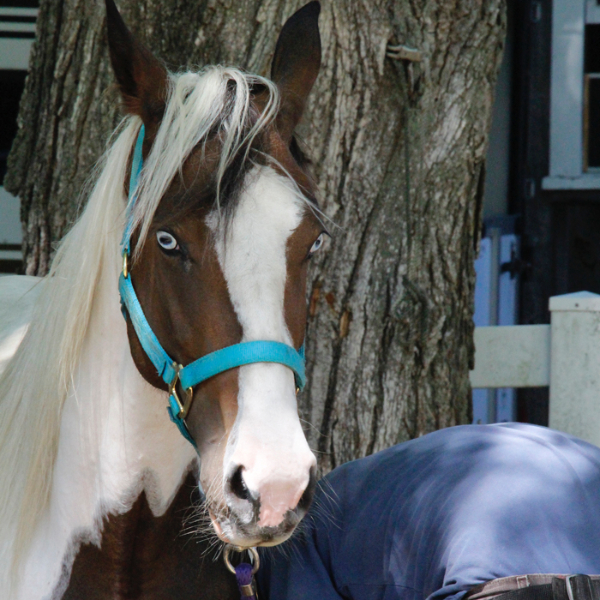 He is currently under evaluation and rehabilitation for lameness in hind end. Stay tuned! 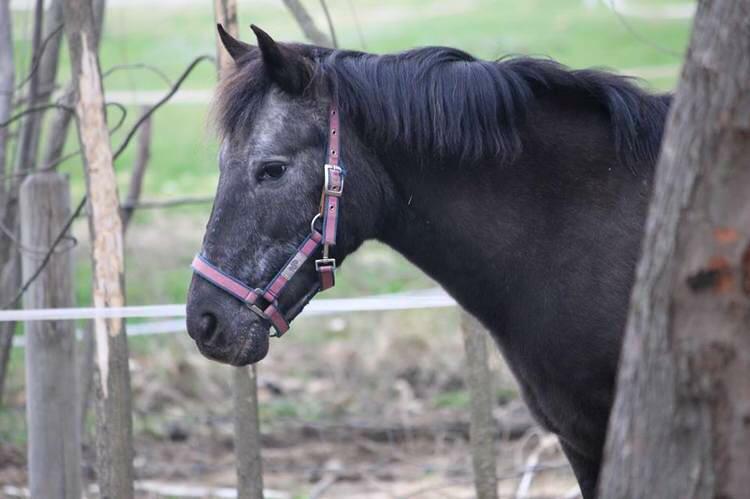 Ebony is an 18-year-old Pony of the Americas who would be a terrific match for a child with experience or on lead line. She’s 12.2 hh, great with the farrier and vet and on cross-tie. Ebony is currently in foster care, awaiting a new family who will love her calm personality and salt-and-pepper face, which makes her look very wise and distinguished! 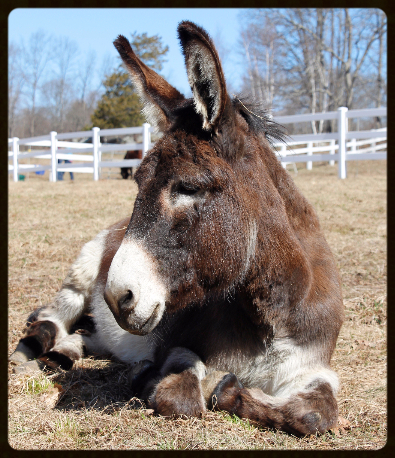 Go to our Web site for a video of Ebony in action and more information on adoption. Click HERE for a link to her page on the NEER North website. Although our beautiful red barn is new to us, it’s been around for a while and needs a little shoring up to get ready for the winter months ahead. Some portions of the fieldstone foundation need repointing, and until the work is complete, we are limited in the amount of hay we can store and the number and sizes of animals we can shelter. Donations are urgently needed so we can complete the required work before the snow flies! Mabel says, "I love my hay, please donate today!" If you’ve thought about giving to NEER North but haven’t quite gotten around to it yet, please consider a monthly donation. Recurring gifts allow you to know you are doing your part to support NEER North’s mission of rescuing, rehabilitating, and rehoming at-risk horses year-round. Monthly gifts allow us to plan our budget with a little more certainty, so we know how much money we will have for essentials such as hay, feed, medication, vet and farrier bills. It costs an average of $300 a month for us to care for each of our rescues. Your support in any amount will make a difference. $10 can buy a bale of hay. $20 can pay for a much-needed round of antibiotics. Monthly gifts are easy to set up. Please see our Web site for more information. 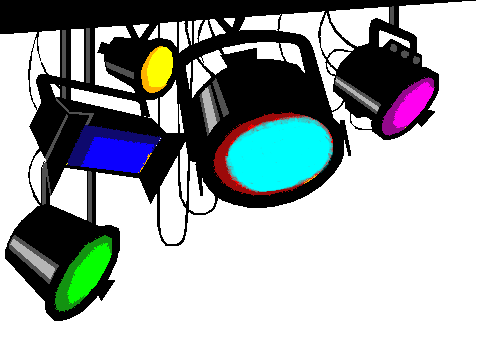 Please check our Web site frequently for additional clinics and events. 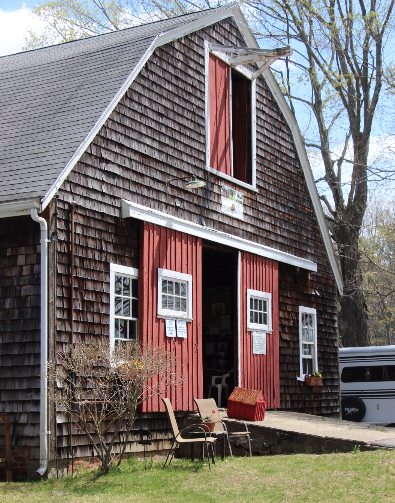 Look for a feature on NEER North in the fall edition of Newburyport Magazine, which comes out in September. "Even the greenest horse has something to teach the wisest rider."